Leftover Borscht is a series of photographs that depict the present day Borscht Belt and its ruins. 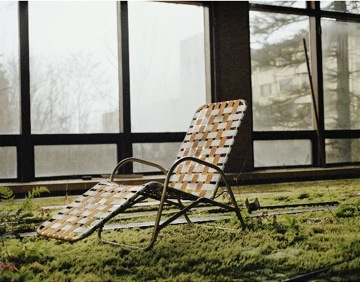 Shot by Marisa Scheinfeld, a photographer and a former local of the region who used to visit many of these former hotels in her youth, Scheinfeld made seasonal returns to her hometown region to document it in its current state. March 14 - March 20, 2012. Opening Reception on Thursday, March 15th from 8:00 - 11:00 PM. Photo: Indoor Pool, Grossinger's Catskill Resort and Hotel, Grossinger, NY, 2011.